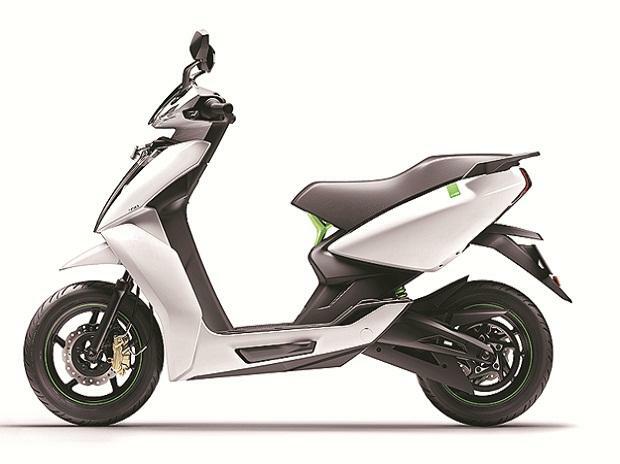 Hero MotoCorp-backed electric two-wheeler manufacturer Ather Energy is scouting for a location to start a larger manufacturing unit to meet the supply requirements as it expands to new cities in the next four years. The company is planning to set up around 6,500 charging stations with an investment of around Rs 130 crore in next four years to support the electric vehicle ecosystem. The company has a capacity to produce 30,000-35,000 units, but this would not be enough as it has higher targets in terms of sales. It is looking at setting up a new facility with a much larger scale and this is expected to come up in the next couple of years, when it requires the additional facility. "We are scouting for a location and we would like to be somewhere close to Bengaluru. Capacity would be around 5 lakh to 10 lakh units," said Ravneet Phokela, chief business officer, Ather Energy. The company is not looking at any fundraising in the near term and the details of the investment towards the capacity expansion is not finalised. It saw an additional fund infusion from Hero MotoCorp last year. In a bid to expand the presence, it is planning to have presence in 30 cities in the next two to four years. The first milestone is to be in six cities by the end of the year, with certain scale. The company is expected to expand its sales from Bengaluru to Chennai in a couple of months and before moving to Pune, Delhi, and Mumbai later. As part of creating the supporting ecosystem, the company will invest around Rs 130 crore in setting up around 6,500 charging stations across 30 cities in four years. On Wednesday, it announced a strategic association with Godrej Nature's Basket to expand AtherGrid, the company's EV fast-charging public network's presence in India. The 35 locations that Godrej Nature's Basket operates across the country will host AtherGrid Points, as the automobile player expands its presence across India. A memorandum of understanding with Godrej Nature's Basket is for a pan-India association that will see the company set-up its charging points at various outlets of the grocery and fresh-food store, the first of which is up and running at the Sadashivnagar outlet in Bengaluru. The company began delivery of Ather 450, an electric scooter designed for city riding conditions, it comes with a top speed of 80 km/hr, a range of 75 km, in September 2018 while it has launched another model Ather 340, before that. It has its charging infrastructure, AtherGrid, currently at 24 locations with 31 charging points operational in Bengaluru. The fast-charging network is accessible, free of cost, for all electric vehicles in the city until September. The charging stations, which are under expansion, can also be used by non-Ather electric scooter firms. The company expects that it would take more than five years to start monetising from the charging stations, though it may have to invest on the facilities now as part of creating the ecosystem. The company is also looking at eventually moving towards renewable energy resources for the charging stations, while those in the near future would continue to be grid connected. The challenge is that it would require a larger area to produce the required energy and it is not available in the third party locations where it is coming up with charging stations. However, in the new developments and housing projects there is an opportunity to use renewable energy, which the company would look at to eventually go off the grid for energy supply. "We started sales last June and for almost five months, we had to face some supply chain challenges. Last month, the supplies started growing, and IT is now scaling up. The scale-up was slow because of this. But if you look at on a run rate basis, in a 12 months period between June 2018 and June 2019, we will end the year in Benaguluru with 6,500-7000 units sales," said Phokela.